It’s my first time in London during autumn for several years, and I’m pretty excited by the genuinely okay-ish weather the UK has been seeing so far. So in the spirit of autumn and all things naughty/nice and pumpkin spiced I decided to embrace the season and explore one of London’s most impressive graveyards to get knee-deep in seasonal feels and capture some moody autumnal (yep, that’s a word) scenes. 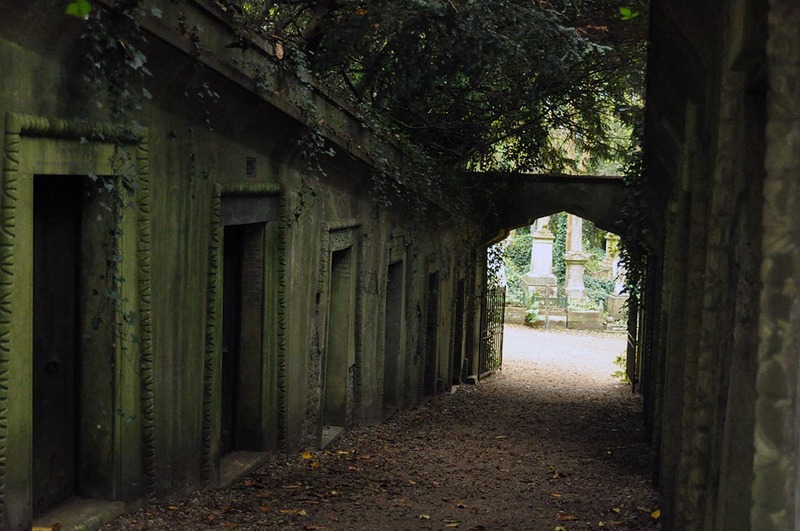 Highgate, in the north of the city, is one of London’s largest cemeteries, housing roughly 170,000 souls including an extended list of notable persons, ranging from famous poet laureates to infamous Victorian criminals. 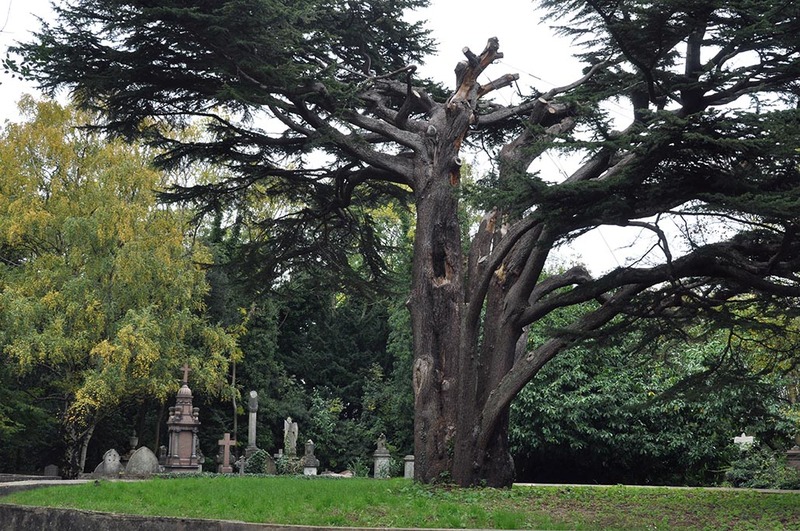 Split into two sections, the West cemetery can only be viewed by scheduled group tour, while the East can be enjoyed at your own leisure. I have a quiet disdain for tour groups. Well, actually, it’s not quiet at all. I quite loudly and passionately dislike them, and the sight of a little raised flag bopping off ahead in the distance fills me with anguish; something about being led around and talked at that gets me feeling mutinous. But how magical the west yard looked with its vine-entangled statues, bizarre Egyptian tombs and pergolas made of weathered stone. Begrudgingly, I was forced to shelve my neurosis for the afternoon and padded off quietly after the herd. The group, around 10 of us, is a mixture of older Brits – the type that goes on walking holidays, I imagine – and a smorgasbord of mismatching tourists. We’re given some basic history on the site from a volunteer guide who I couldn’t wholly understand, with kind eyes and poor hearing. 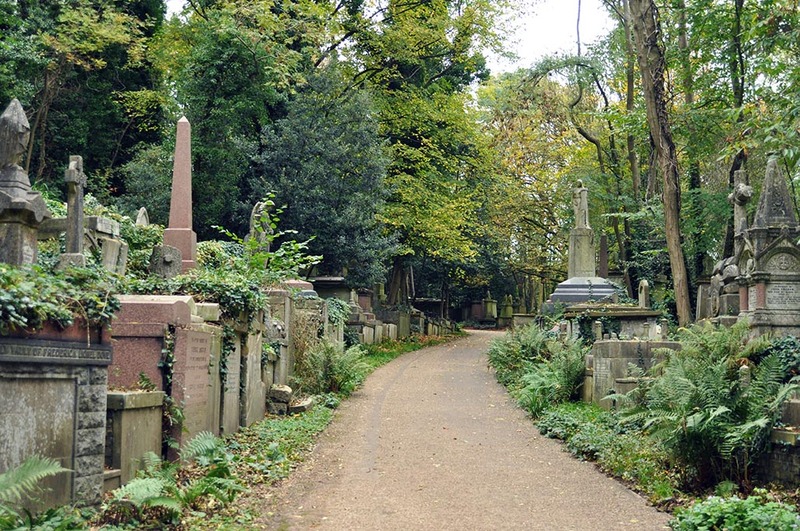 Highgate is indeed a relic of necessity. Victorian London circa 1800s became rife with overcrowding. 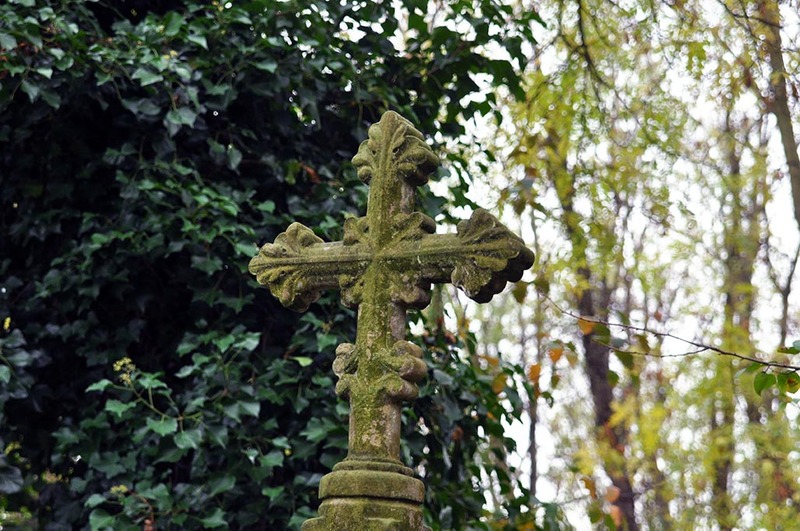 With a population of one million people and increased mortality rates year by year, churchyards overflowed. They desperately needed to find another way, beyond temporary mass graves, to accommodate many burials in a space that wasn’t a typical church-affiliated graveyard. 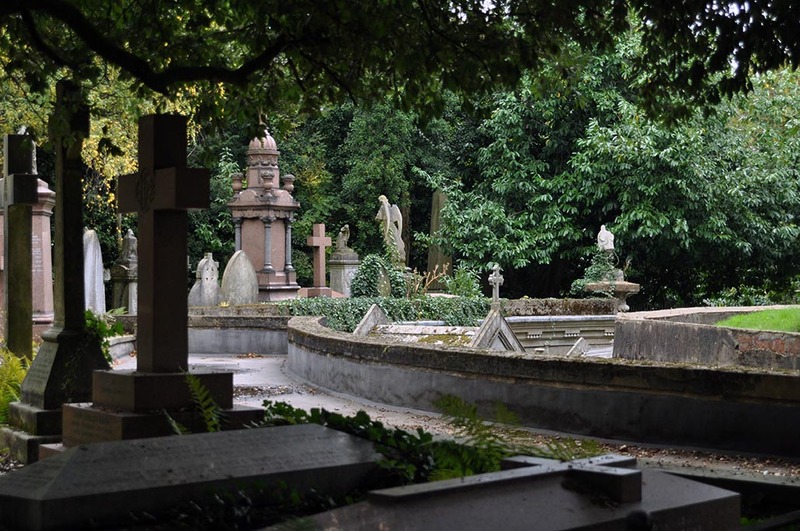 And so they built the magnificent seven – seven vast graveyards on the outskirts of the city constructed in a “garden” style, that would allow for the influx in deaths. Brittle leaves crunched tentatively underfoot as we alight the stone staircase, up twisting pathways, edging away from the gatehouse and into the heart of the West Cemetery. 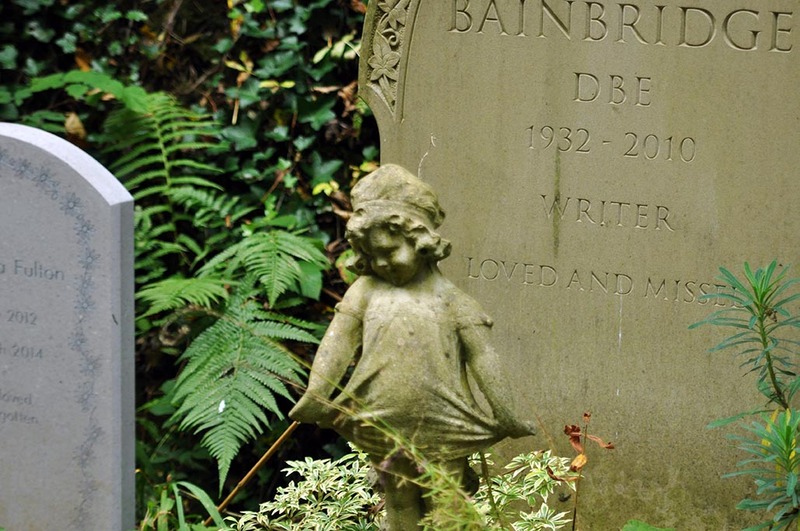 The graves of the West are incredibly ornate; figures depicting angels, children, forlorn lovers. They are also typically older than the East, which was opened around 60 years later. The West, primarily covered by treetops, is shady, silent and history resonates from each intricately carved headstone. The walk takes guests on a 70-minute wander through the main sites: Egyptian Avenue, Circle of Lebanon, Terrace Catacombs and the Mausoleum of Julis Beer, before flowing back downhill to the chapel. Following a man-made path, we make our way around the inner yard, stopping for snippets of information and to marvel at the extravagant sculptures and tombs found in this unique site. It’s clear: money lies here. The West is grand and opulent, while the modest East is homely, understated and just a little bit folksy. 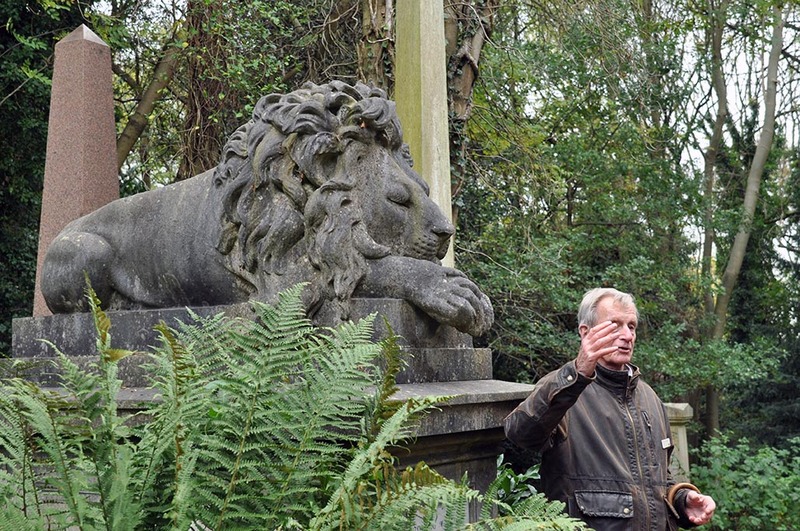 The grandeur of the West Cemetery made it an exclusive option for London’s rich, and gradually it became more and more grand with each passing year, until falling out of favour in the 1900s, what with the burden of war and less demand for extravagance beyond the grave. 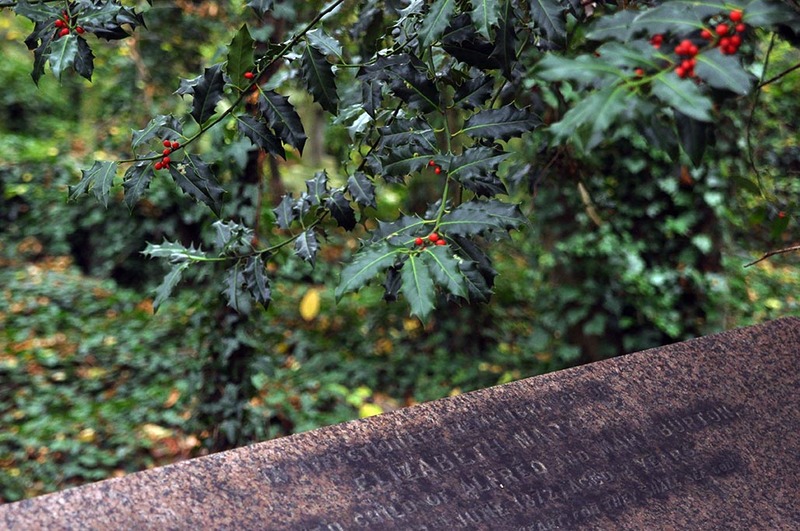 Egyptian Avenue is said to have evoked the interest of Egyptian culture within Victorian Britain. 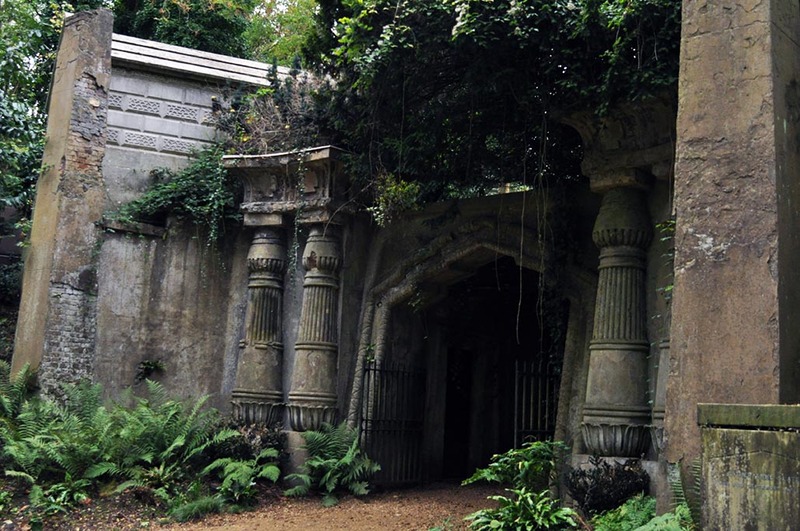 With large pillars, now carpeted in mossy tufts, and a cave-like opening. Inside lay clustered tombs which line the walls – these kinds of mass tombs would have been used to bury families with up to to 12 coffins. The term “avenue” is actually pretty accurate, as I’m sure it did once have a street-like feel, but now ivy has taken over, and the avenue resembles something more like a set piece from Tomb Raider, as nature takes hold. It’s clear that the West is maintained to a high standard, and nowhere is this more apparent than the Circle of Lebanon. Constructed under the watchful gaze of an ancient cedar tree, this circular collection of tombs and antiquated cremation enclaves looks far younger than its years. Modern additions of shining marble plaques and even the odd fresh bouquet make this distinctive collection of graves ultimately unique and very well presented. The Terrace Catacombs show quite a different story. Victim to grave robbers and weathered by the sands of time, the majority of these interior tombs, built within a tunnel-like structure show signs of decay. Some crumble apart helplessly; darkness giving minimal clues. Personally, I enjoyed meandering through the other parts of the gardens far more than the structured “points of interest.” There lay whimsy and the calm of nature. 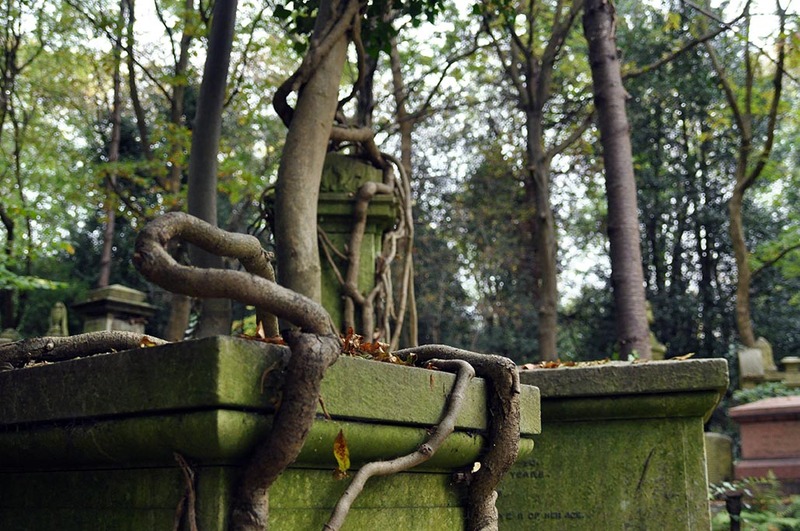 Graves serendipitously overlapped, some encrusted in gnarled roots of nearby trees. 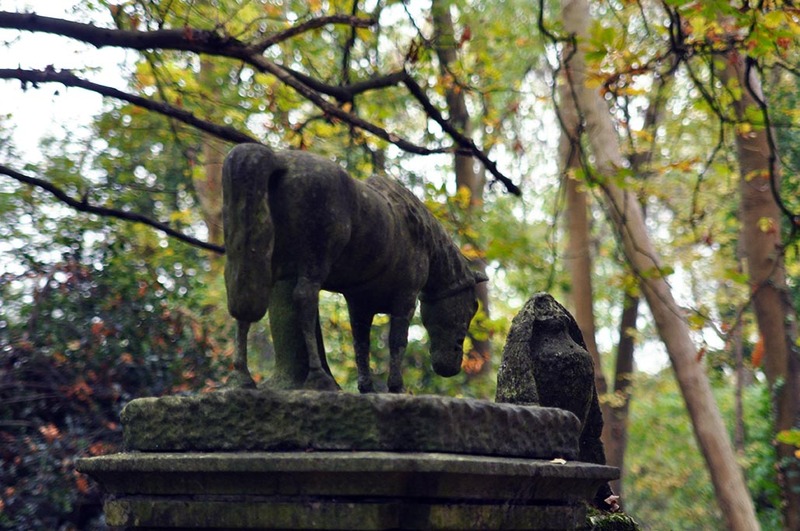 Statues aged and chipped and rust-coloured leaves littered small stone crevices. As we progress back towards the chapel entrance newer graves appear around our feet. Fresh flowers grace the ground, as well as photographs and small temporary signs. Assumably these are graves that have yet to be formally marked by stone and are awaiting enough time to pass for their final design. 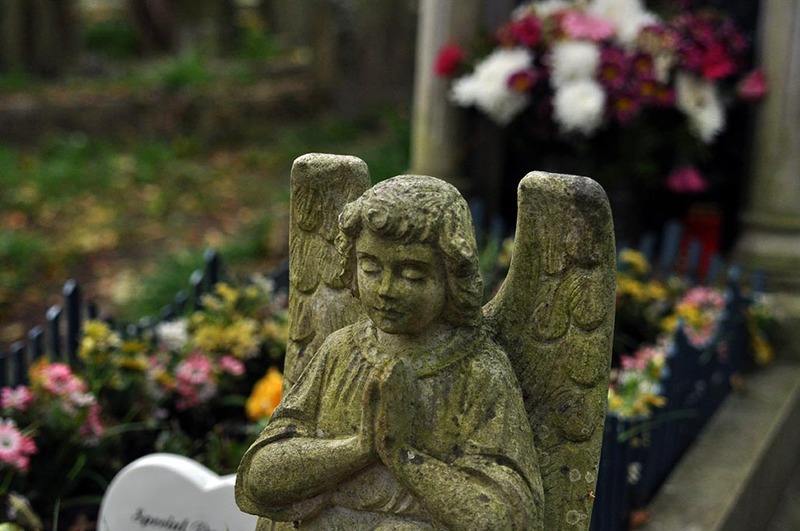 Grave fact: on most gravesites you have to wait for a minimum of six months to place a gravestone as the ground needs time to settle, as it will sink initially after burial. 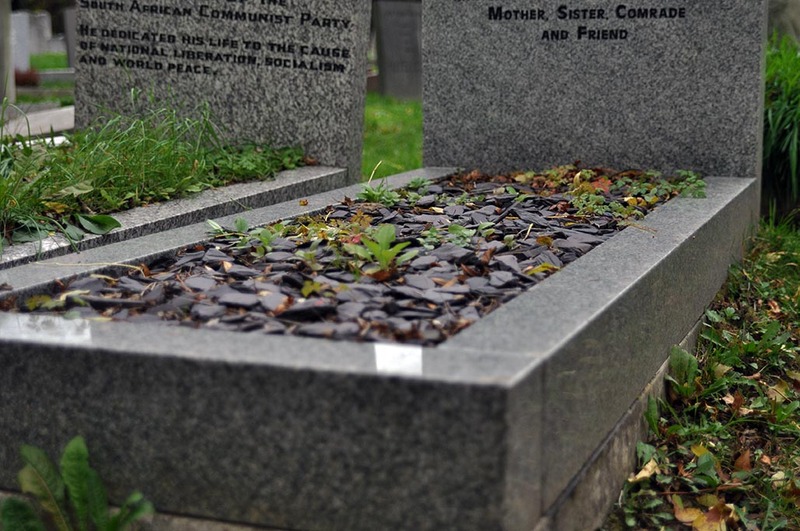 Depending on various factors such as soil type, weather etc it can take much longer than this and so some families wait years to place the headstone to be sure of the best result. Arriving back to the clearing and the bottom of the stone steps, the air is crisp and silent as we pass tiny graves that can’t help but highlight the fragility of our existence. It could be said the most purpose we could give ourselves in this life is to create a legacy for when we are gone. 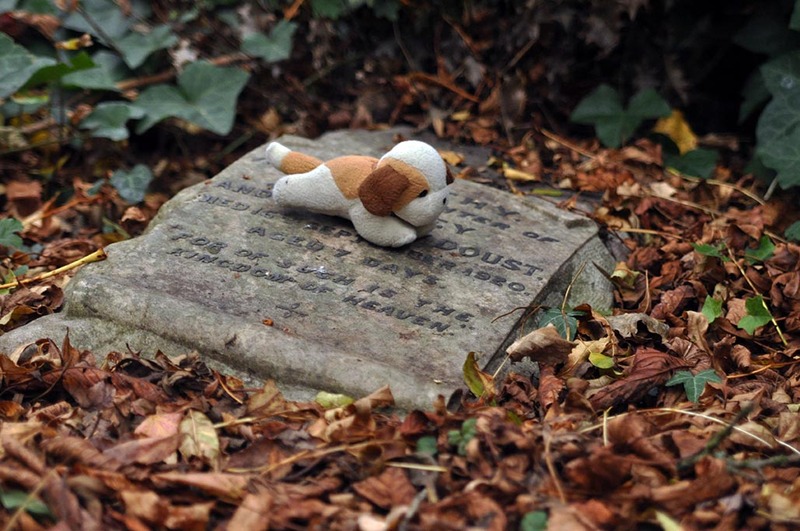 Perhaps not all of the 170,000 bodies that lay buried here have lived to fulfil that hope, but for their place in this exceptional graveyard, they will undoubtedly be remembered. Passing across the small road that intersects the two graveyards, we are guided into a dinky hut and handed a paper map. In stark contrast to the rules of the West – where we weren’t allowed to be more than 25ft from our guide at all times – here in the East we can go anywhere. “Anywhere!” replied the spritely steward, who then ushered us out and into the East garden. The map gives a reasonably comprehensive guide to which graves are where and shows the general layout of the garden, which can only be entered or exited via the main gate. 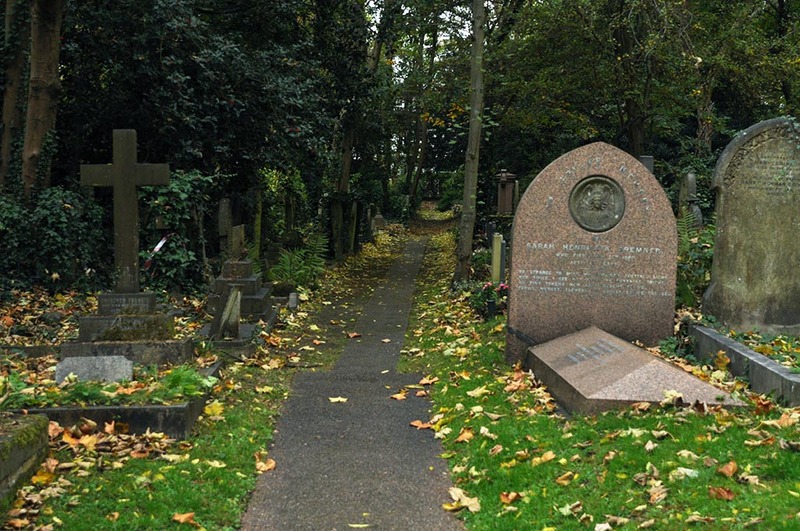 There are a plethora of famous graves here, so if you have an interest in seeing particular ones, the map is essential. After my morning of mild-oppression at the hands of a group tour, I decided to go off-piste in the East and proceeded to crumple the aforementioned map into a little ball in my jacket pocket. Heading instead off the paved pathway and following a sweet grassy hill, where the path was lined with rows of modest gravestones. Large mossy crucifixes mingled with slick marble, and nature with synthetic. 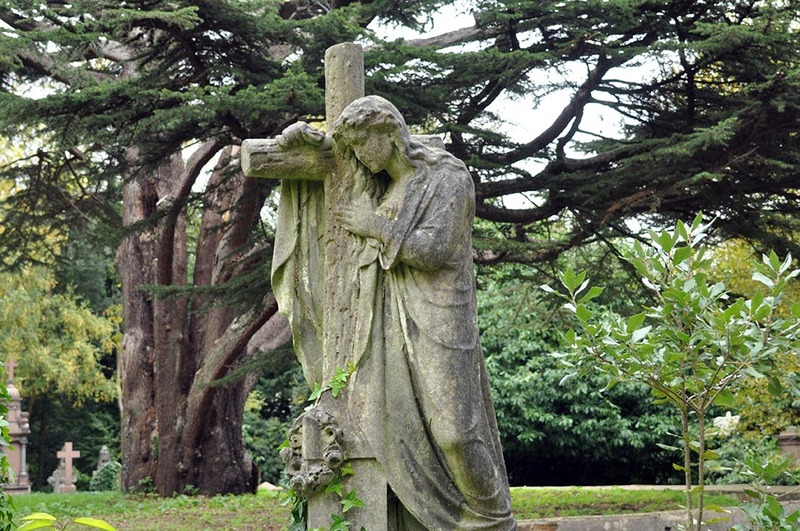 While many of the graves here date back almost to that of the West, the East yard also hosts many modern graves, many with tributes and trinkets adorning them, clearly still cared for by family and friends. Further along, I wandered through pathways that fanned from thick to thin and paths that lead from mud to gravel, grass and moss, then back to mud again. Many gravestones reminded me of ones I’ve seen in South America, strangely. Assumably it’s quite commonplace in some cultures to use images of the dead on their gravestone, as I saw this in Colombia frequently. As well as photographs, they’d sometimes even have depictions of hobbies – sometimes in curious clip art-style and usually finished off with a big bunch of gaudy plastic flowers. I suppose its safe to say then that, just as London is a blended pot of all cultures, so is Highgate. One thing I have always liked about graveyards is the placement of memorial benches. 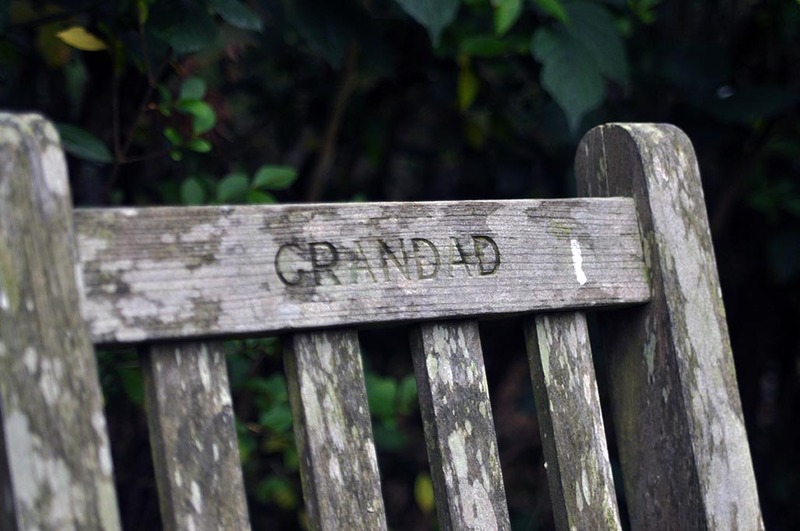 It’s such a nice thing to be able to sit and reflect, and when I go, I want to be remembered in bench-format, ideally. 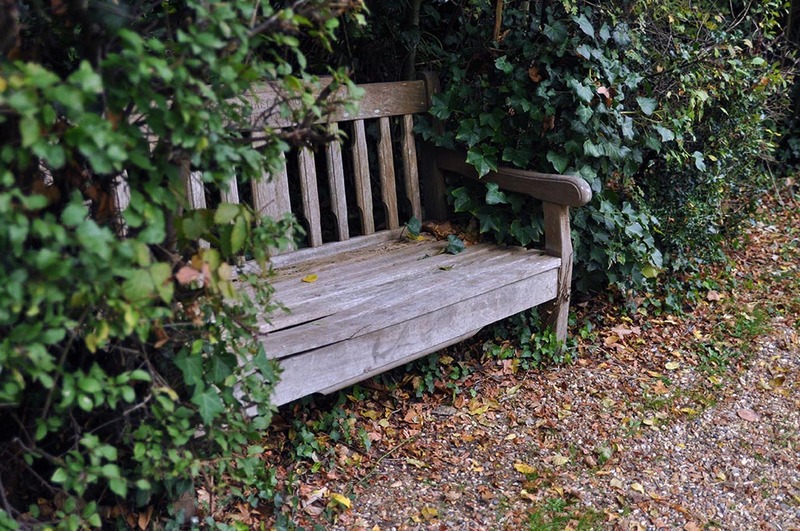 Just a nice little plaque that reads “Jodie Taylor – all-around half decent person and passable blog writer.” I’ve always liked the thought that at some point in time someone looked at the spot where a bench is sat and thought “yes, I think people would like to sit here” and then they did. But death isn’t all doom and gloom, no! 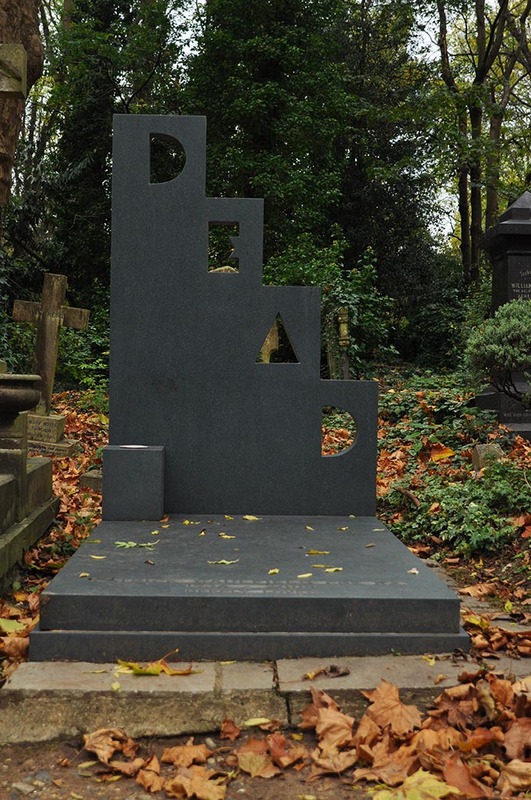 I couldn’t help but be tickled by the grave of Patrick Caulfield, English pop artist, who designed his own brazen tombstone that simply reads “DEAD”. 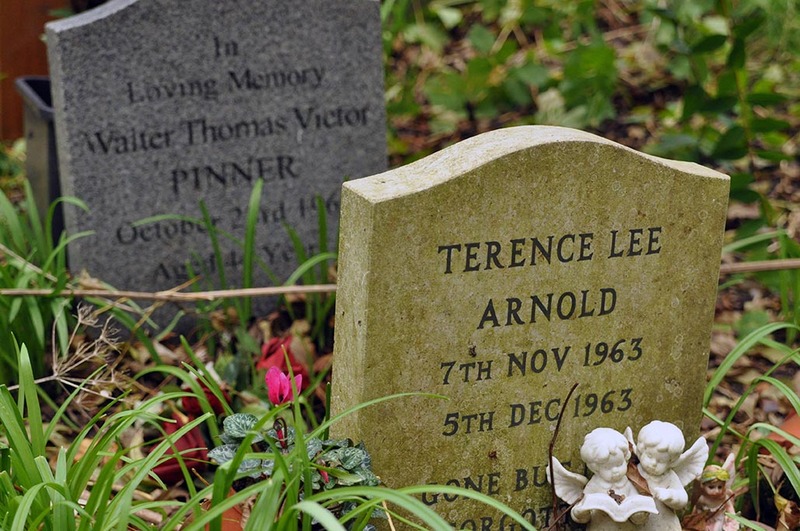 I admire his sense of humour, something distinctly lacking in the burial world, perhaps a gap in the market? It’s kind of reassuring to see that at whatever stage in life, there is still room for whimsy, even in death. I then found a cat casually resting atop a tombstone hidden in the shrubbery. This was all getting a bit too “Hocus Pocus” now, and I saw my cue to leave. 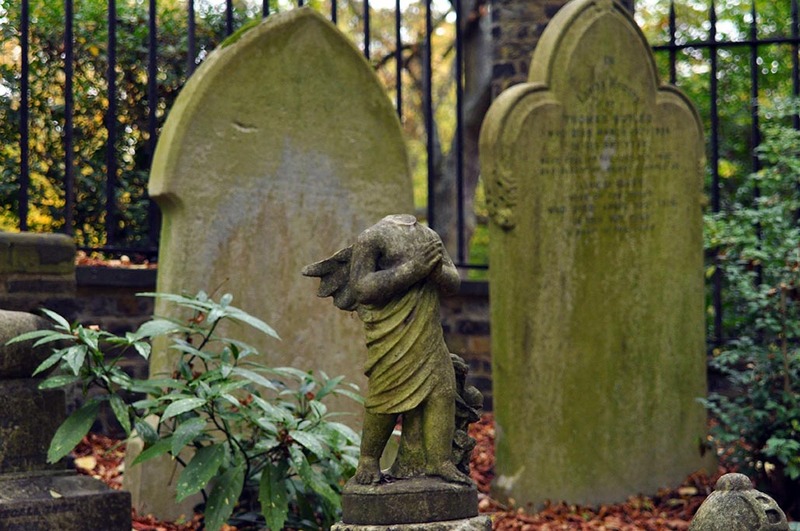 I can’t help but think these graveyards embody life rather than death. It seems it would be peaceful to be buried here, with squirrels running atop the soil c0llecting winter berries and visitors meandering from row to row. Maybe even a cat guarding my grave like some kind of villainous sorceress, awaiting my chance to rise again. And for all it’s worth, one day I will no doubt fade away and family and friends will come to mourn. They may place plastic flowers upon my grave site, they may adorn it with weird harden gravel but, I ask you Lord, whatever may happen to me, please – oh please – don’t let them use clipart! To visit the West yard you must purchase a guided tour ticket. These run twice a day in the week, and intermittently on weekends, depending on demand. The tour lasts around 70 minutes and isn’t really suitable for children or physical disabilities as the site contains various staircases and hills to traverse. With your £12 ticket you can also access the East yard that day, or for up to a month after your visit. You can also access the East yard for just £4.00 only, 363 days a year. If you are strapped for time, or just passionately hate group tours too, I’d recommend simply visiting the East yard. It’s quaint and interesting enough to keep you busy for at least an hour or two. And you really can go anywhere, which makes for great exploring. But for those keen on the history aspect, the West is a must.